Muhammad Zubair Mughal is the Chief Executive Officer of AlHuda Centre of Islamic Banking and Economic (CIBE), Islamic Microfinance Network (IMFN) and Halal Research Council. His overall academic career is outstanding with M.S in Islamic Banking and Finance, M.sc (Mass Communication), B.sc (Math, Stat and Economics) and with diversified knowledge of Islamic Banking and Finance. He has been serving the Islamic Banking and Finance industry for last 10 years with versatility in Islamic Banking & Financial Engineering, Modeling, Product Development, Shariah Advisory, Market Research and Gap Analysis. He is dedicatedly and tirelessly working for the promotion of Islamic Finance through Education, Research, Trainings and Conferences on global canvas. He is also a Chief Editor of a magazine on Islamic Banking and Finance “True Banking” which depicts his strategic vision in Islamic Finance. Muhammad Zubair Mughal has got ideal global recognition with multiple assignments of world repute organizations on Islamic Banking and Finance for “Research”, “Training”, “Advisory”, “Consultancy” and “Product development”. Mr. Mazhar Ali Bukhari is Honorary Doctorate in Islamic Banking & Finance from the Yorker International University, Milan, Italy. Currently he heads the corporate advisory at AlHuda CIBE. He is also the Islamic Banking Consultant at Saudi Business Machine / IBM SI Team, Saudi Arabia. Previously, he was the Head of International Operations, Gulf African Bank, Nairobi, Kenya and has been the Head of Islamic Banking Division, Prime Commercial Bank Limited (Now Royal Bank of Scotland Pakistan Limited). Mazhar Ali Bukhari has served the corporate sector with his diversified advisory and consultancy services with enough practical exposure in financial sector. Habib ur Rehman Zubari is an M.A, L.L.B and serving as Senior Advocate at Lahore High Court. He is the advisor (legal) at AlHuda CIBE and gives technical assistance in the legal matters arising in the ordinary course of Islamic finance services and AlHuda CIBE as well. He is also the President of Lahore tax bar association and Advisor Income Tax, Wealth Tax, Sales Tax & Cooperative Matters dealing with both individuals and corporations. Hamad Rasool Bhullar has diversified experience of corporate advisory, consultancy, education and trainings. He heads the Research, Trainings and Advisory of AlHuda CIBE with his expertise in the Islamic Finance, Financial Negotiations, Managerial and Leadership Trainings, Financial and Business systems advisory with broad based experience & vision in business strategy as per the Shariah parameters. His expertise in Audit and Financial Evaluations, General Management, Organization Design and Systems Development, Corporate legal procedures, dealing with Government and Regulatory Authorities, Islamic Finance, Financial Analysis, Audits, Business Management and Development, Advisory & Trainings and Life Trainings are also his practical areas of working. Hamad Rasool Bhullar has contributed well in Islamic Finance education and training organized by AlHuda CIBE, he is also a renowned speaker of Islamic Finance. Camille Paldi has a Masters Degree in Islamic Finance from Durham University in the UK. In addition, being a qualified Islamic finance specialist, Camille is also a lawyer in four countries and nine jurisdictions around the world and has received legal training in common, civil, and Shariah law in six countries spanning five continents of the earth in Asia, Europe, Australia, New Zealand, North America, and the Middle East. She is a US citizen born in the state of Hawaii and spent half of her life abroad in various countries of the world. Ms. Paldi founded FAAIF Limited, FAAIF Events JLT, and ilovetheuae.com FZ LLE (UAE Laws and Islamic Finance). She has over 10 years of global diversified work experience in the private and public sector and brings with her a wealth of practical knowledge acquired around the globe from the worlds’ leading educational institutions. With her unique international experience, Ms. Paldi brings a fresh and vibrant perspective to Islamic finance. 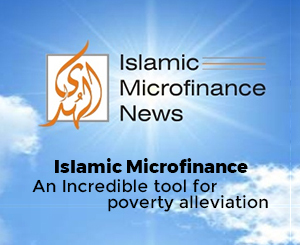 Abdul Samad is an expert Islamic Banker has expertise in Islamic Finance theory and practices. He is qualified LL.B (Hons.) Shariah & Law, with equivalency certificate of UGC to postgraduate Degree from International Islamic University Islamabad, MBA (Finance) from Abaseen University, Peshawar. He qualified Derse-e-Nizami from Tafheem-ul-Quran Mardan NWFP Pakistan, Alimiyyah Degree from Rabita-ul-Madaris (Register Board of Dine Madaris) Pakistan and Bachelor Degree with Economics as a subject from International Islamic University Islamabad. He is an energetic Islamic finance expert and speaker as well. His contributions for the Islamic finance industry are acknowledged as he has written number of articles on Islamic Finance and presently he is the Shariah Advisor of Bank of Khyber and member of Shariah Advisory Committee of AlHuda CIBE. Abdul Samad has attended number of trainings and workshops conducted by NIBAF, IIU Islamabad, Bank of Khyber, Ford Rhodes Sidat Hyder & Co and IBP. He has enough exposure in Islamic finance practice and teaching in renowned institutions of Pakistan. Member – Shariah Advisory Committee Mufti Aziz-ur-Rehman has extensive experience in Shariah, Islamic Banking and Finance Transactions with Sound understanding of Fiqhul Mua’amalat (Islamic Commercial Transaction) and Shariah structuring, Fatwa pronouncement, Shariah advisory services, and in-depth review of transaction documents for a wide range of Shariah compliant products. Mufti Aziz is a Member of several Shariah Boards with other renowned Sharia Scholars beside it he is also member of Shariah Advisory Committee of AlHuda CIBE. Mufti Aziz is currently working as Member of F & SSB for First Capital Switzerland Bank Trust, DIFC Dubai, UMEX Group UK, Kijani Fund, LMG Fund as well as Shariah Advisor for Mawarid Consultancy, FCS, Crowe Horwath UAE, Islamic GDP UK, Shariah House Bahrain, Inclusive Resources Management (IRM) Islamabad and UMEX Life (Takaful) Mauritius. He is also member of Shariah Advisory Committee of AlHuda CIBE. His ideal standing in Islamic Finance is not confined to any particular region of the world rather his scope of services is widely spread with expert services in Islamic Finance. Mufti Aziz has authored numerous books and research papers as well as delivering training, and conducting industry leading market research on the prospects of Islamic finance within the UAE and internationally. With a keen aptitude for innovation and learning, he brings the highest standards of Shariah expertise to any Islamic financial institution. Mufti Momin Hayat Islamic finance expert and did Shahada 'Alamiyya (Islam/Arabic) at Raiwind after his successful completion of O/A levels in his academics and keeps diversified skills in Islamic Finance. Presently he is serving as Manager Shariah Governance and Compliance at Mashreq Bank beside it he is also the member of Shariah Advisory Committee of AlHuda CIBE in the Islamic Finance advisory and consultancy around the globe. He has skilled approach towards the Islamic finance technical areas and practical implication with sound understanding of the whole working pattern of Islamic Banking and Finance. Mufti Raees Ahmad is the member of Shariah Advisory Committee of AlHuda CIBE and qualified Takhsus – Fil – Fiqah (Specialization in Islamic Jurisprudence - equivalent to PHD), Shahadatul Aalamia (Equivalent to M.A Arabic & Islamic Studies) Wifaq-ul-Madaris Arabia Pakistan, Dora Qaza-wa-Tahkeem from Jamia tul Rasheed Karachi. He has much expertise in Islamic Finance Trainings as he has conducted number of customized training workshops in different Islamic financial institutions in Pakistan. Member – Shariah Advisory Committee He is internationally renowned Shariah Scholar and Chartered Accountant with versatility in Islamic Finance. He is the Chief Executive Officer and founder of Moolla Capital. He is the Shariah Advisor - Sentio Capital Management and member of Shariah Advisory committee of AlHuda CIBE. Previously he was the director in Nelson Mandela Cabinet. His technical and expert services are recognized throughout the world especially in Islamic finance system development, product development, compliance and transparency in the overall operations in Islamic Finance. He is determinant for the growth of Islamic Finance and the best practices in conformity with the Shariah principles around the globe. Shaguftta Parveen has outstanding academic career of B.Sc (Statistics, Mathematics & Economics), B. Ed (Science), M. A (Economics) and serving AlHuda CIBE as a Manager Communications for last two years to promote and organize different specialized training workshops and conferences applying her professional communication and effective liaison skills with local and international institutions for sponsorships as well as Media and Strategic Partnerships. She has been vested with effective communication and interpersonal skills for multilateral negotiation and networking with Islamic Finance Industry. Ali Mardan has been serving AlHuda CIBE as Assistant Manager Distance Learning Program for last two years and has got good marketing and communication skills. He has contributed well in the Halal Certification of different well known brands in the market with his effective marketing skills beside it he also serves the Halal Research Council (HRC) introducing the well designed online Diplomas and courses offered by HRC to the professionals of Halal industry. She is working with AlHuda CIBE as coordinator of distance learning programs. She is introducing our programs well in national and international markets. She has good marketing abilities and interpersonal skills. Tahsin is serving AlHuda CIBE as an assistant manager distance learning program. He is an energetic, confident and result oriented person who is promoting our Educational programs well in national markets. Saim Nazir has been serving AlHuda CIBE as Manager Distance Learning Programs for the last 5 years. With her assiduous and keen nature she proves to be a great source for AlHuda. Being clear in her professional working she is promoting our Distance Learning Programs in an extra ordinary way. She has been vested with effective communication and interpersonal skills for multilateral negotiation and networking with Islamic Finance Industry. Memoona Shabbir is MS in Business Management. She has been coordinating with the international market for the last 1 year. She is a diligent young lady who is well oriented towards her professional goals. Having extraordinary communication skills she has conducted many trainings internationally. Imran Gul is MBA Marketing from NUML and serving AlHuda CIBE as Manager Marketing for couple of years and depicts a dedicated personality for the promotion of Islamic Finance with productive and professional marketing skills to cater the domestic and international potential market. He has strategic vision for our bi-monthly dedicated magazine “True Banking” for the developments in Islamic Banking and Finance industry. Hafsa Saadat has done BS (Hons.) in Statistics from The Women University Multan and now serving AlHuda CIBE as a Research Associate. She has good marketing and communication skills. She conducts research by utilizing different sources of information to analyze & evaluate facts and prepares reports of different research projects. Mr. Muhammad is an M.Phil. Scholar. He has also done his BS (Hons) in Islamic Banking and Finance from International Islamic University, Islamabad (IIUI) and serving as Research Coordinator with almost one-year corporate experience in Research, Capacity Building Programs, Product Development and Islamic Microfinance operations. He maintains high-quality standards in Proposal writing and negotiation for Product Development & Islamic Microfinance operations. He’s got enough and adequate skills to promote Islamic banking and Finance through his leadership qualities. He is enough dedicated towards the programs organized by AlHuda CIBE on an international platform. He is confident and energetic young professional and has the ability to manage multiple tasks simultaneously to balance competing priorities and respond quickly to changes and business needs. She is serving Takaful Consultancy Wing-AlHuda CIBE. She has a good marketing and strategic with adequate knowledge and interpersonal skills for Trainings and Education and Negotiation. She is confident in her working areas with an effective liaison in the corporate sector and well aware of the latest techniques of networking and marketing. She is also involved in Human Resource Management of AlHuda CIBE. Muhammad Kamran has done his M.COM (in Finance) from University of Sargodha (UOS) and serving AlHuda CIBE as Research Associate in Shariah Advisory and Audit department. He has enough and adequate skills to promote the Shariah Advisory and Audit in local and international Market. He is confident and energetic young professional and has good knowledge and interpersonal skills for Auditing, balancing and financing. Sobia Majeed is a young and dedicated hard working individual in the IT world with her versatility in web designing. She has done MCS from the Islamia University of Bahawalpur. Currently, she is working as an assistant manager (web designer) in the department of Takaful consultancy wing of AL-HUDA CIBE. Imran Haider is serving AlHuda CIBE as an Officer Administration for last five years and has good administrative and management skills for the smooth working and growth of organization with high quality standards in documentation and office management. Joint Director, Modarabas (Islamic Financial Institutions, Securities and Exchange Commission of Pakistan. Helping Hand for Relief and Development (HHRD), Pakistan.